Picture 1 Old wooden grain silo next to the first metal silos going up. Picture 2 in this series shows the newest silos going up in Chester Montana (pop 1025) the county seat of Liberty cty. (pop 2024) Agriculture is big business as shown by these photos. Picture 2 The New Grain Elevators going up in Chester Montana (pop 1025) the county seat of Liberty cty. (pop 2024) Agriculture is big business as shown by these photos. 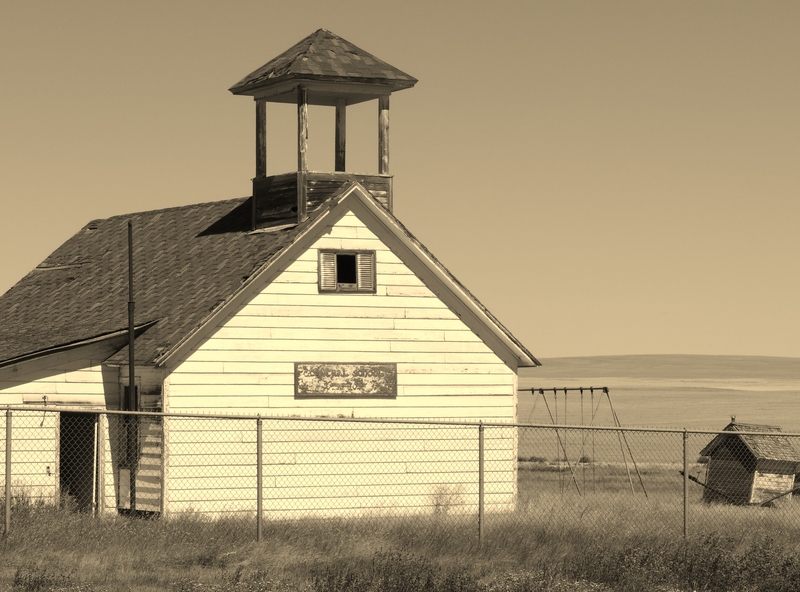 24 Hours in Montana: Ghost Towns, College Football, Nuclear War, Dinosaurs, and more. Travelling the backroads of Montana with camera in hand is one my favorite things to do. I wanted to show as much as I could of why I love doing that so much by photographing as much as I could in one 24 hour period and also dispel the myth there is “nothing to do” in rural Montana. So hang on here we go on a whirl wind tour from Friday night to Saturday night! Friday night football. MSU-Northern vs Carroll College in Havre, Montana. What a great venue to watch a game from the stands, along the fence, or parked above the stadium – How many stadiums can you tailgate and watch the game at the same time! The game was played in Blue Pony Stadium as the college shares the stadium with the Havre Blue Ponies high school football team. A great atmosphere you just don’t get with big time college football. A time for a community to come together and cheer on their team. Moving on to Satuday morning. 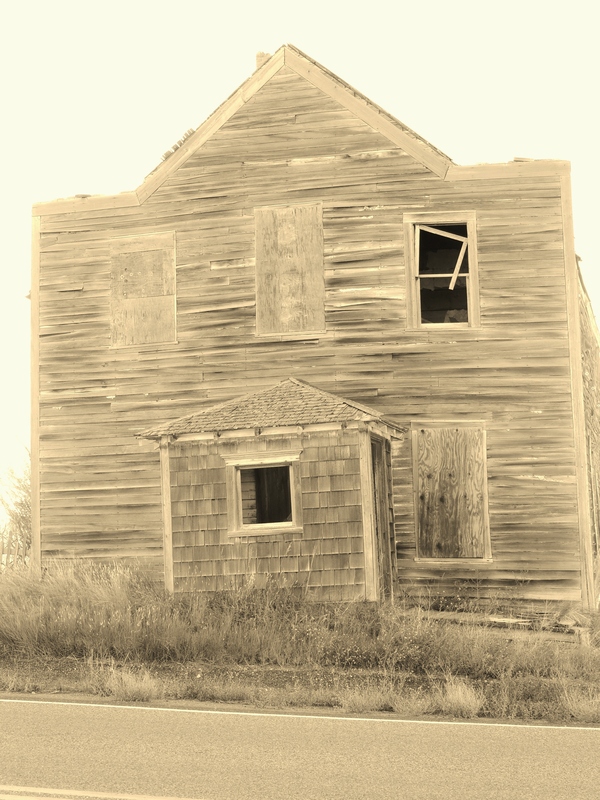 Early morning in the ghostly town of Galata,Mt. 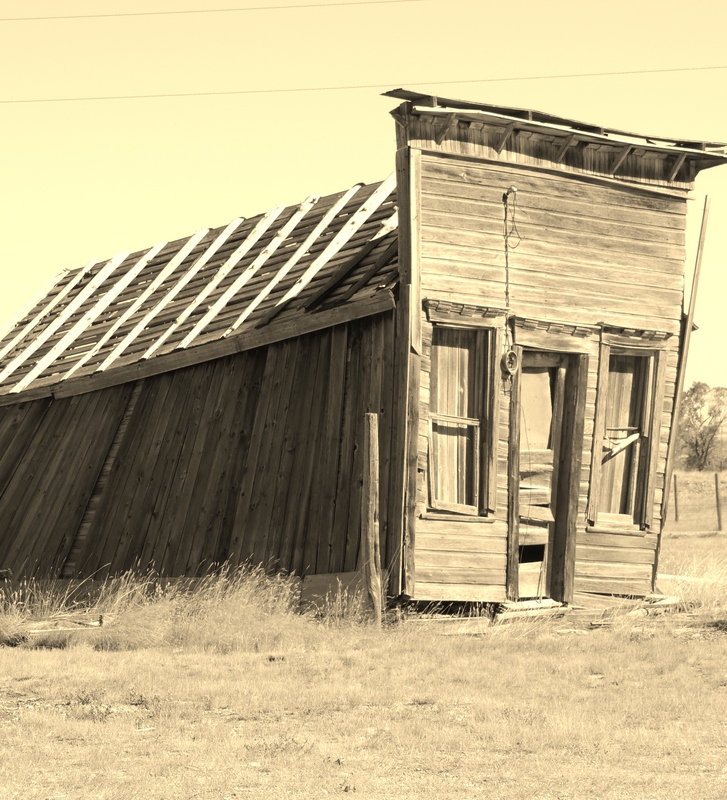 Founded in 1901 the town may soon earn the title of an official ghost town with more abandoned buildings than active ones. Also more feral cats and dogs then people watch out or the village dogs may eat you. Abandoned buildings in Galata,MT Roadside Motel Galata,MT –This brought up a few good questions for my brother and I to ponder and pass the miles with. Was it still open? We just weren’t sure but thinking its better if its closed. Also it says by the lake…what lake? its just miles of open prairie was there a lake and one time or was it down some back road we didn’t go on? It had a sort of creepy horror film vibe going on. 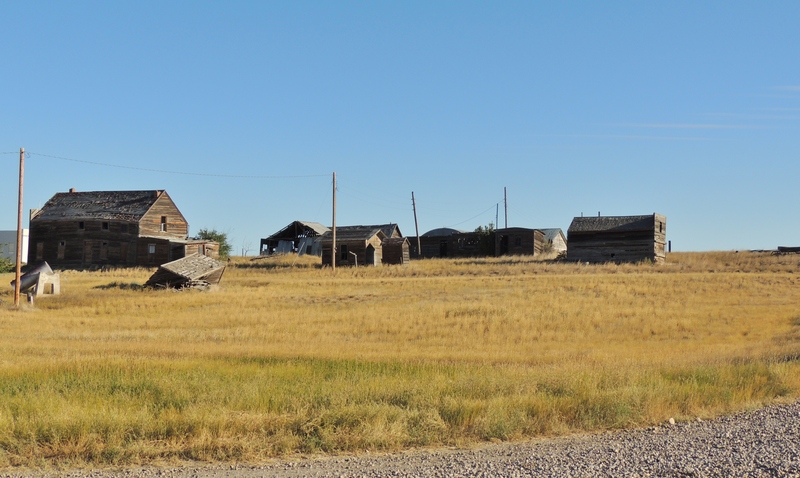 But on to better things here is the little town of Pendroy Mt founded in 1916 by the Pendroy family who after the Civil War left Iowa in covered wagons and headed west stopping finally along the Rocky Mountian Front Range between Conrad and Choteau. Yep that’s the whole town. 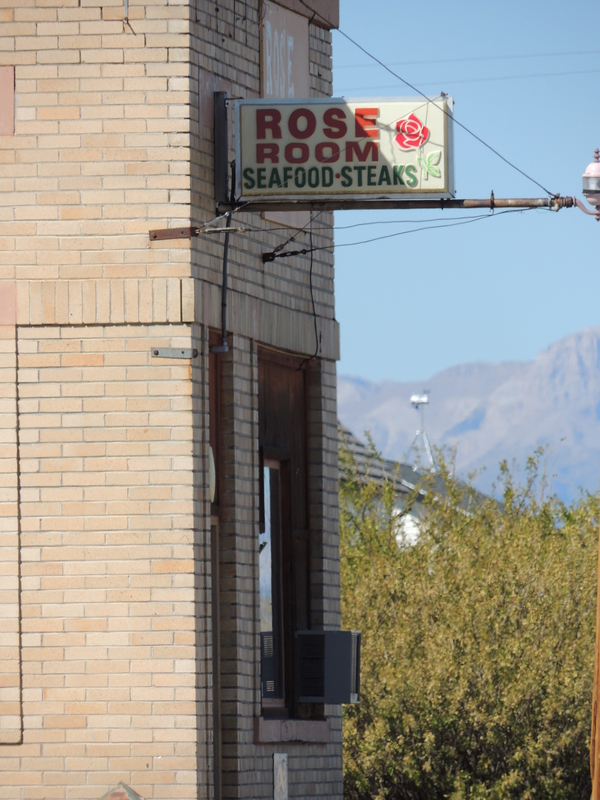 The main spot in town The Rose Room serving Steak and Seafood. Leaving the 100 people and the Rose Room behind I headed west toward the Rockies and came across something that is part of what makes our country and Montana great. 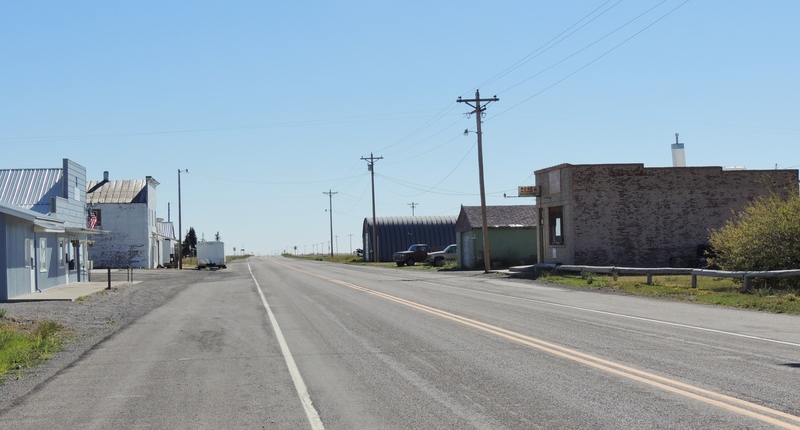 On Hwy 89 out of Choteau I came into the little town population 143 of Bynum Mt founded 1885 by Stephan Bynum. 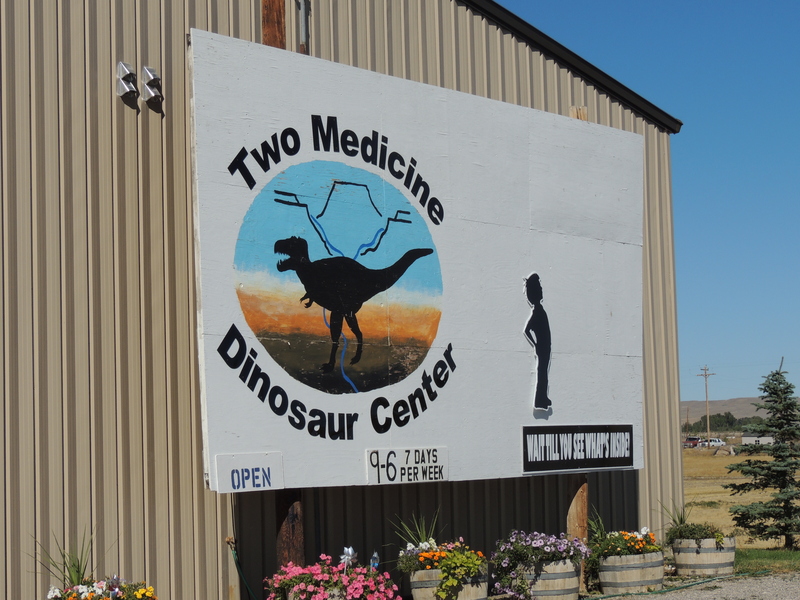 In this little town in the middle of nowhere is the Two Medicine Dinosaur Center which is in the Guiness book of World Records. 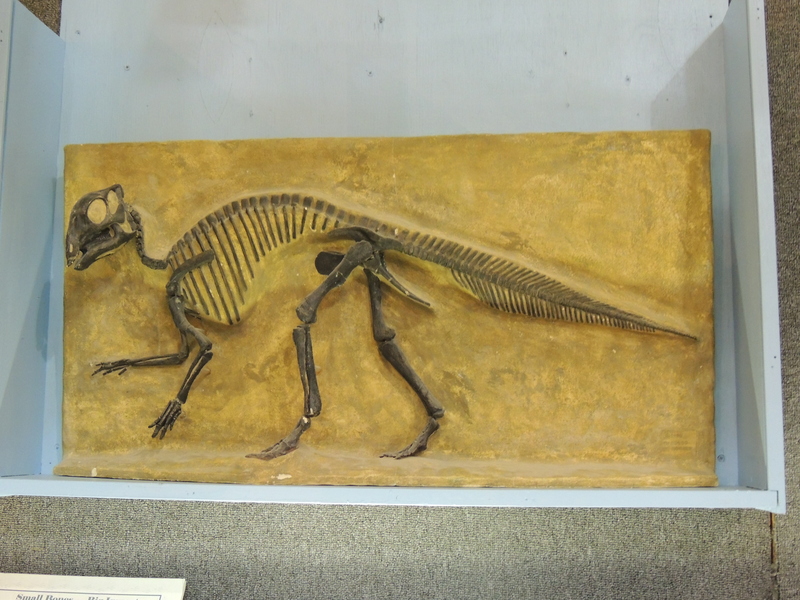 It was the first place in North America where baby dinosaurs were found and found in the nest and home to the worlds largest dinosaur a Seismosaur. How cool is that! 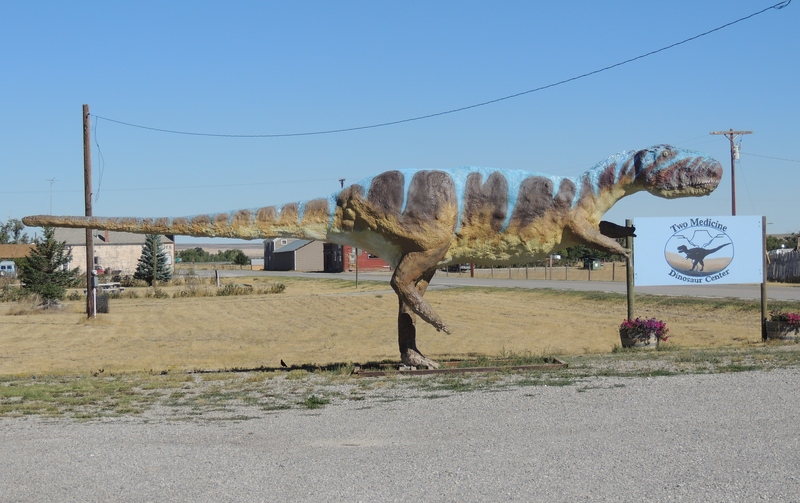 A giant dinosaur statue not what I expected to see on a backroad in Montana..I knew those backroads could take you back in time just well not that far back.t This is the first baby dinosaur fossil found in North America..Neat! This is a working Musuem where you can watch them uncover fossils. I liked this fossil skull because it looks like a dragon skull. This next shot is a T-Rex head and those are just cool. This is Dawn who works at the musuem and is a Paleo-something I can’t spell and is extremely knowledgeable (she is one of the founding members of the center and has been working in this field for 20 years) fun and nice and gave me an awesome tour of the center so a big shout out to Dawn 😀 Get off the inter-state go exploring on the backroads and find cool places like this to visit best 5 bucks you will spend. 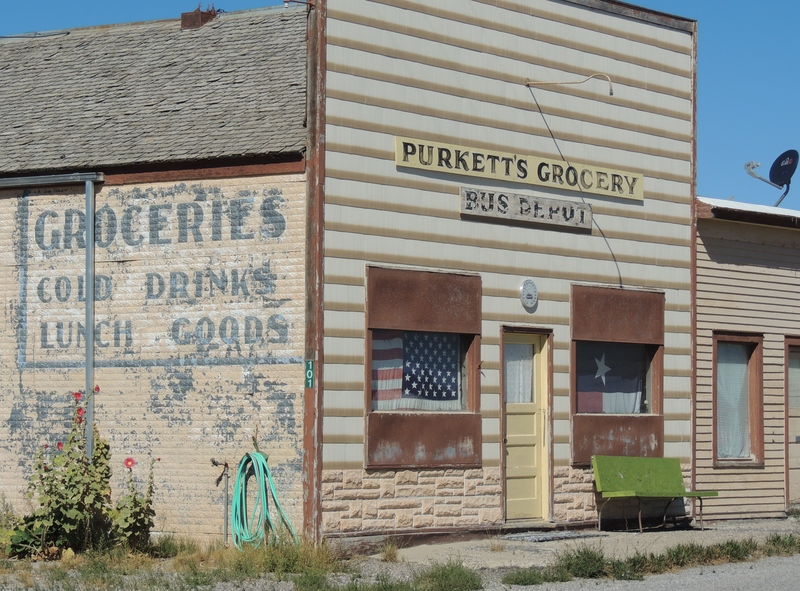 Texans have come to Montana and found Bynum (note the texas flag in one window and texas outline inside the montana one in the next photo). I don’t know if a bus still stops there lol. 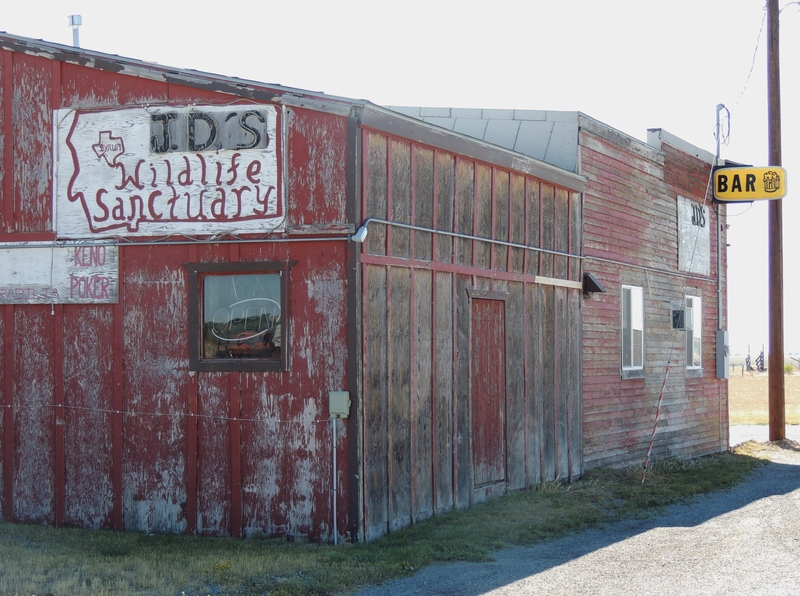 In the next photo is JD’s wildlife sanctuary..its a BAR soooo not the type of wildlife sanctuary you take the kids to see the animals at lol. Saturday nights in Bynum must be something special. 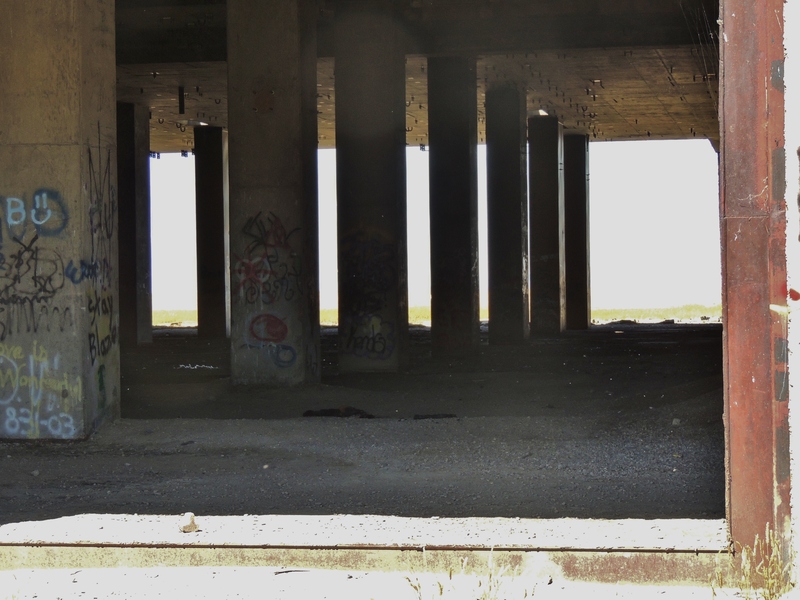 This is the last photo from Bynum of a now abandoned building. 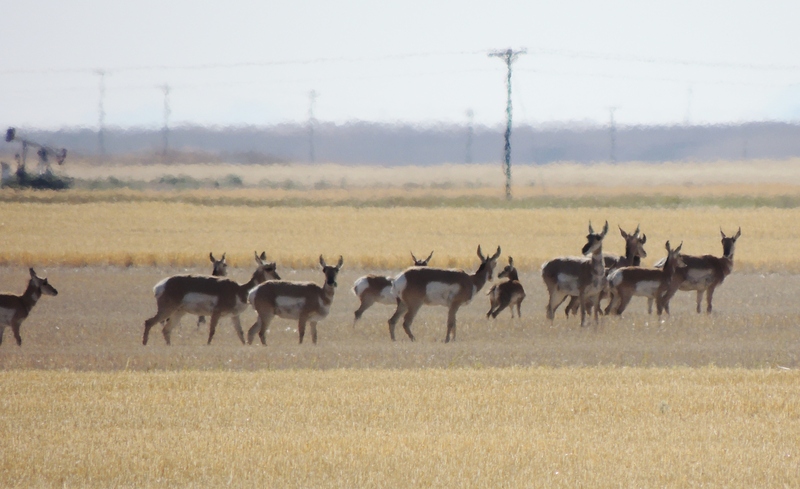 Hmmm maybe these antelope are heading to JD’s wildlife sanctuary :p Heading back from Bynum I stopped to take pictures of the District School Bldg built in 1919 outside of Pendroy. Swingset with an awesome view of the Front Range in the distance and the one hole outhouse beside the school. After this I backtracked to Conrad Mt picked up my brother from his meeting had lunch with some friends at the Home Town Cafe in Conrad and took just a couple of snapshots there before heading out again. 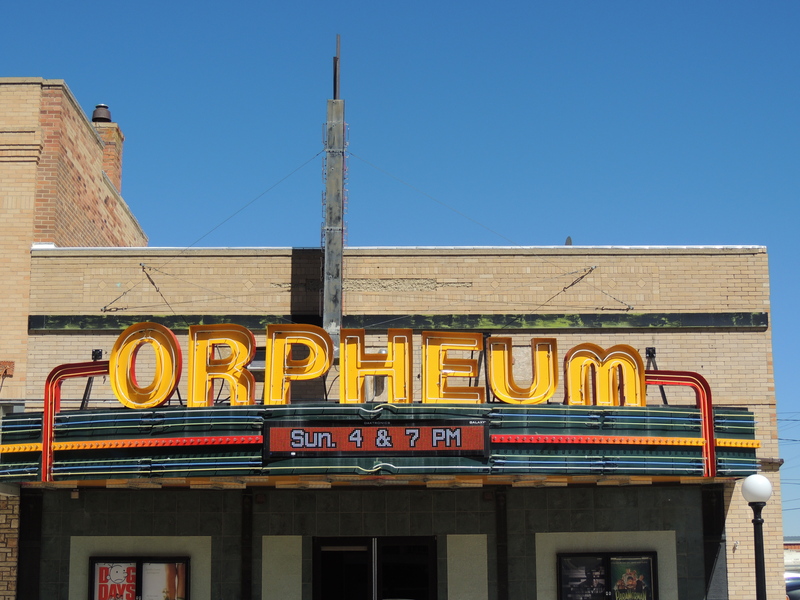 The first is the First National Bank of Conrad built in 1910 and the next is the old Orpheum theatre in Conrad restored and showing movies to this day. 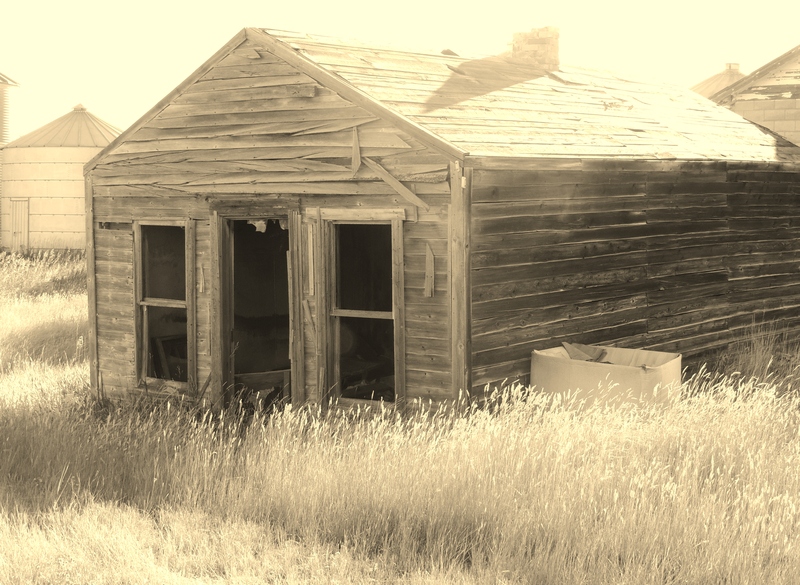 3 miles outside of Conrad is the Pondera Trading Post from the 1800’s which would give rise to the town of Conrad. One last view of the Rocky Mountian Front Range that rises up at the edge of the prairie marking in end to the plains and the farms of Montana. We left Conrad travelling the old Ledger hwy toward Chester Mt. It brought to a site that provoked a wide range of emotions. I am not sure what words to use to describe the next serious of pictures. A wide range of adjetives fit. Dark but Cool: awesome,fascinating,disturbing,haunting, chilling,amazing,or bizarre would all fit. You will have to make your own judgement. 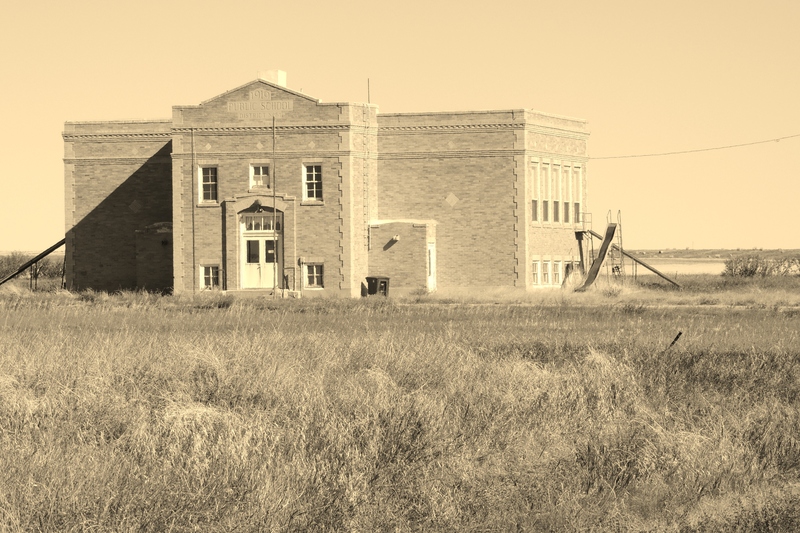 Out in the middle of nowhere amidst the rolling hills, grain fields, and ranches rises a cold war era concrete ruin. 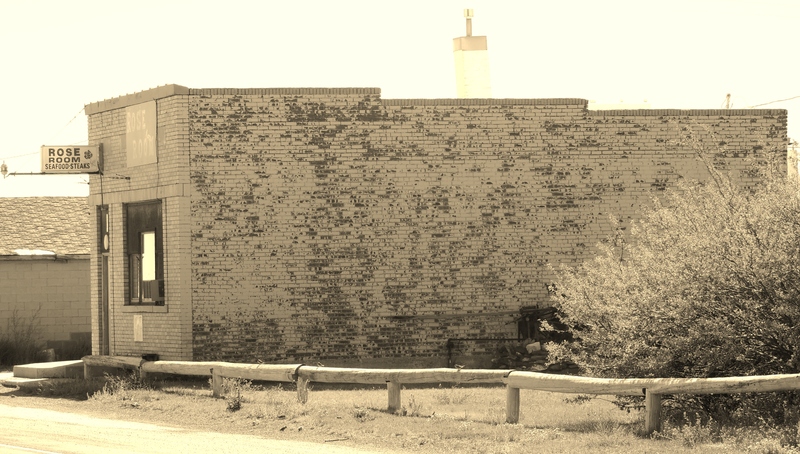 It was of two (the other is in Mandan and is completed and functional) Missle Command Control Bunkers. This one was began in 1970 by Nixon but construction was halted in 1972 as a result of the Salt II treaty. The power plant that was made to serve the site was buried and no longer exist the resevoir is being used by farms and ranches in the area. It designation was a PAR site (Perimeter Aquivisional Radar) system and was designed to withstand a direct nuclear blast and serve as a post nuclear command and control center for the government and military. It looks so out of place so far away from everywhere. 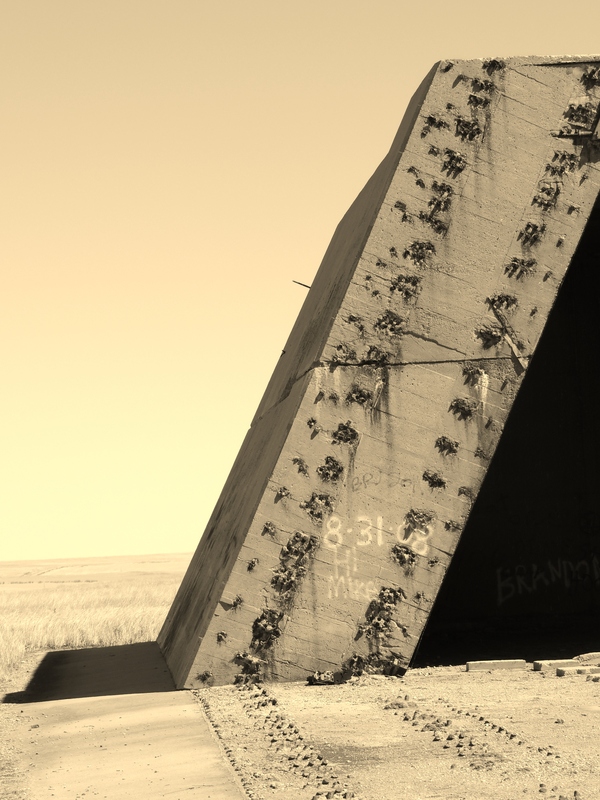 To find this structure that could have been a major part in the most destructive type of war that could be waged amid rolling fields of golden grain with a view of the Sweet Grass Hills in the distance was like a twi-light zone,X-files, and zombie apocalypse all rolled into one. 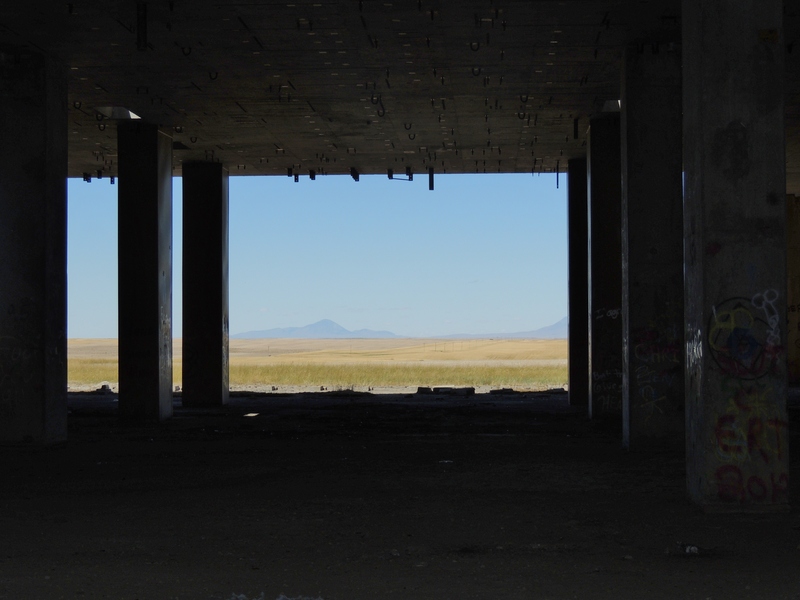 It was surreal to see a site that could once have sheltered the remnants of the US government and military covered with the grafitti of teenage partiers who use the site for senior keg parties. Its hard to process so you will just have to figure it out for yourselves. 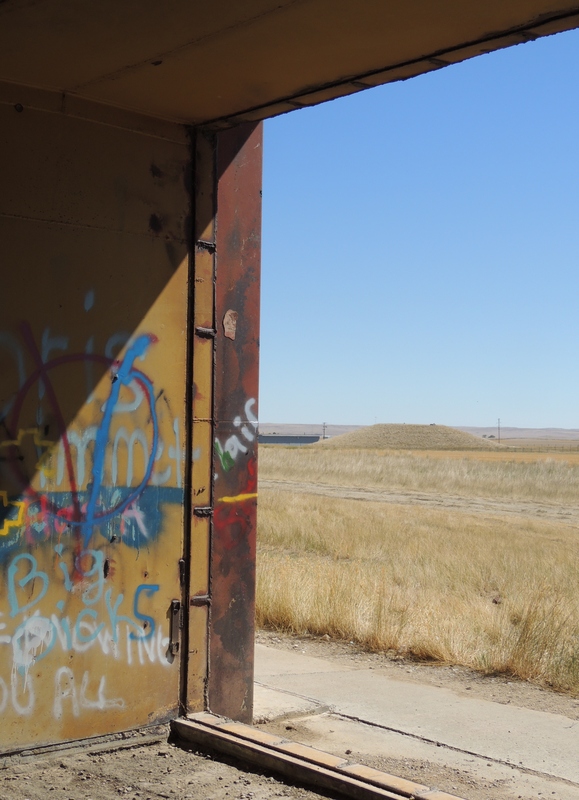 Its also amazing that across the gravel road is a missle silo that once or still does hold in its depths a missle and crew of men who could initiate the end of the world as we know it. Definately photographs that make you think. 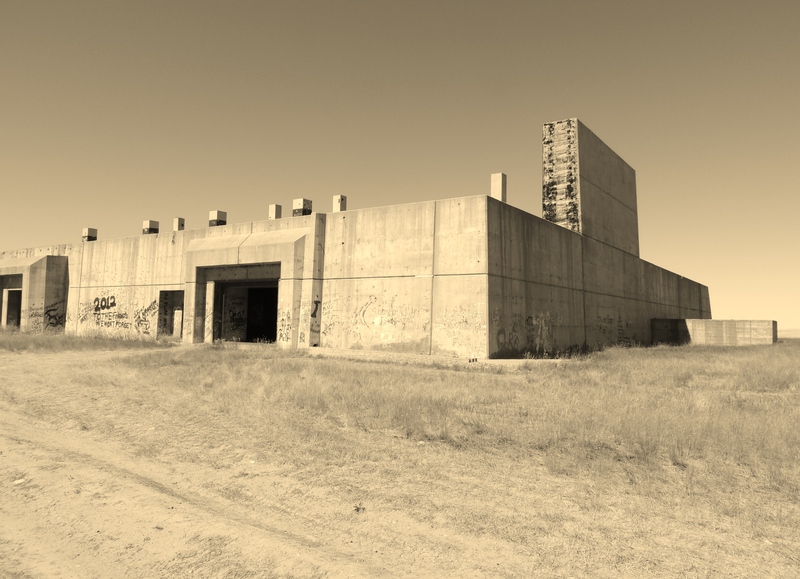 To help give a scope of this structure the concrete walls were nearly 10 feet thick and the steel doors would have close to 2 feet themselves. 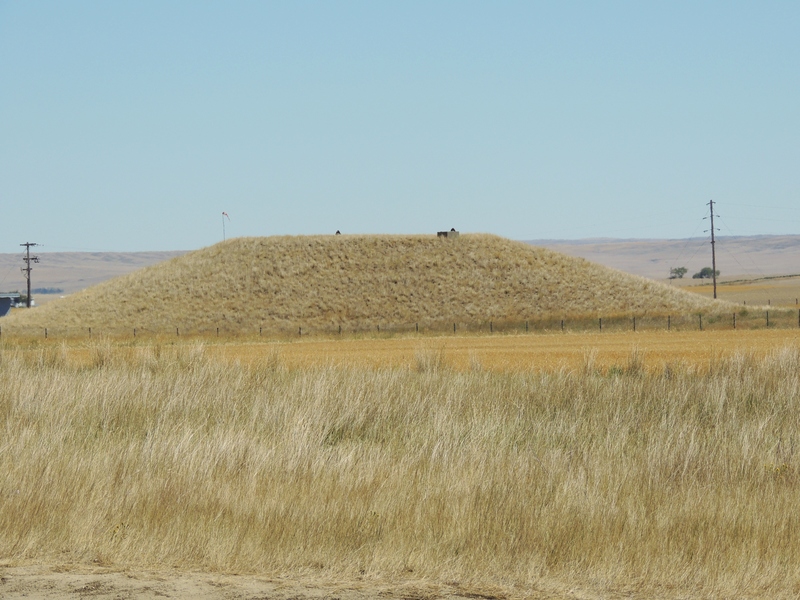 The next photo is of a little hill that does or did conceal a missle that could bring death to thousands. 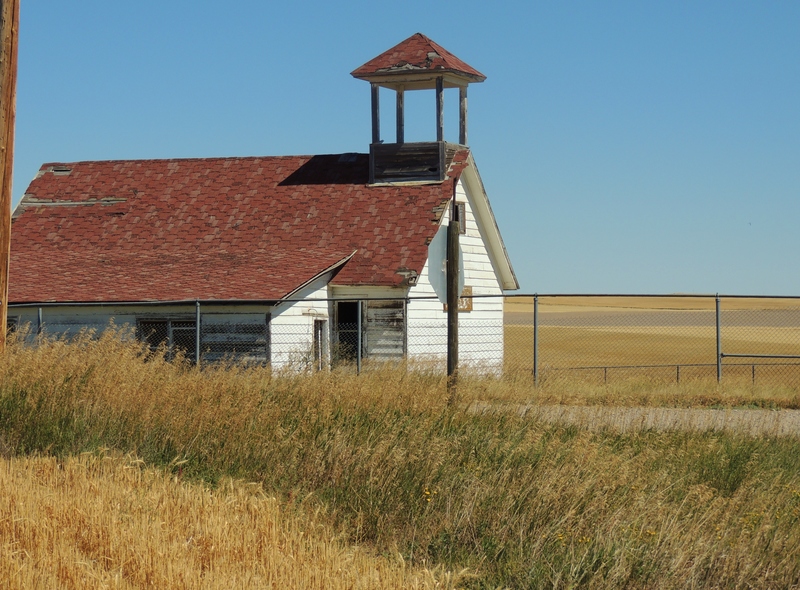 Moving on to less deep thoughts are photos from an unknown little schoolhouse near Ledger Montana. I am calling it South Central School since it at the junction of the South Central Rd and the Old Ledger Hwy. Next stop Tyber Dam on the Marias River and the Tyber Resevoir. On the way home a few more images from Montana’s pioneer past. 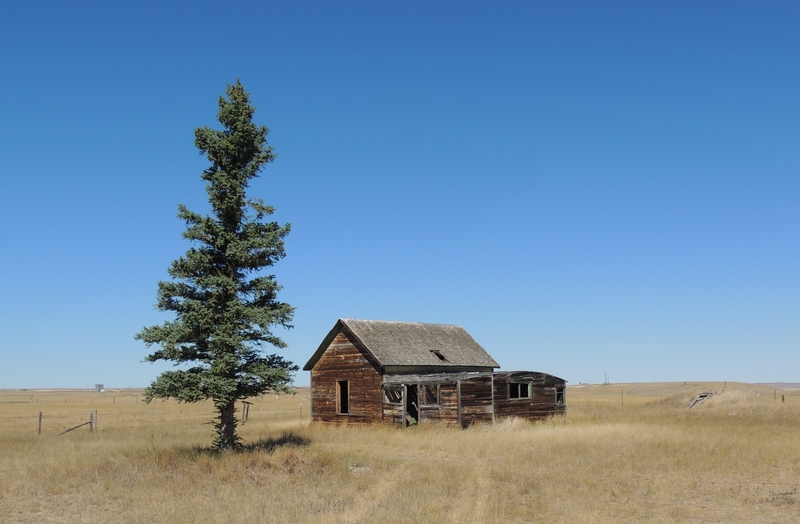 Hope you enjoyed travelling with me and that the photos help everyone understand why I love Montana and small towns and country life and America. I also hope it inspires you to get off the beaten path and explore your own backroads. You never know what you might find: dinosaurs, nuclear bunkers,great people, and images and memories to last a lifetime. A window in time. 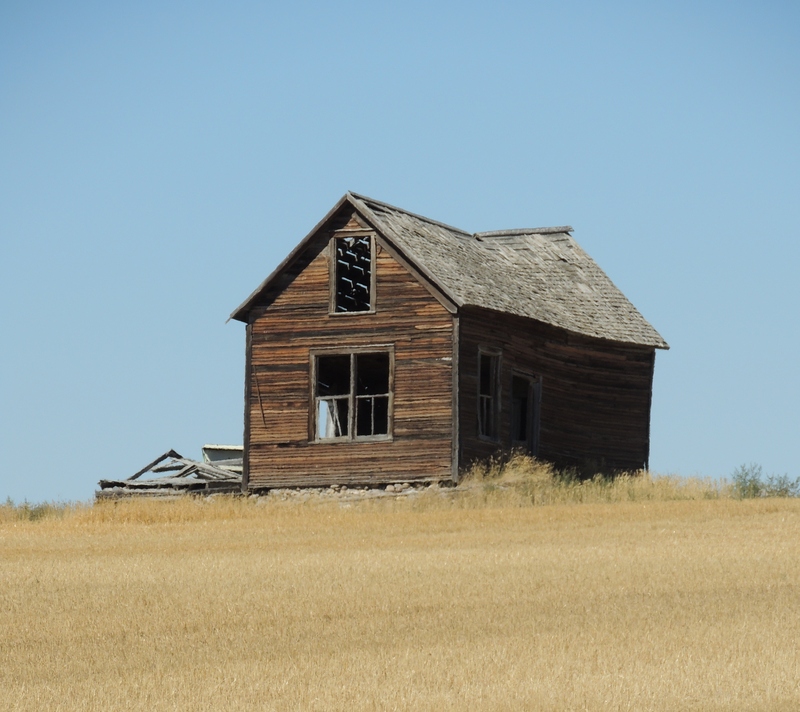 Fire destroyed this historic 1913 building in rural Montana. 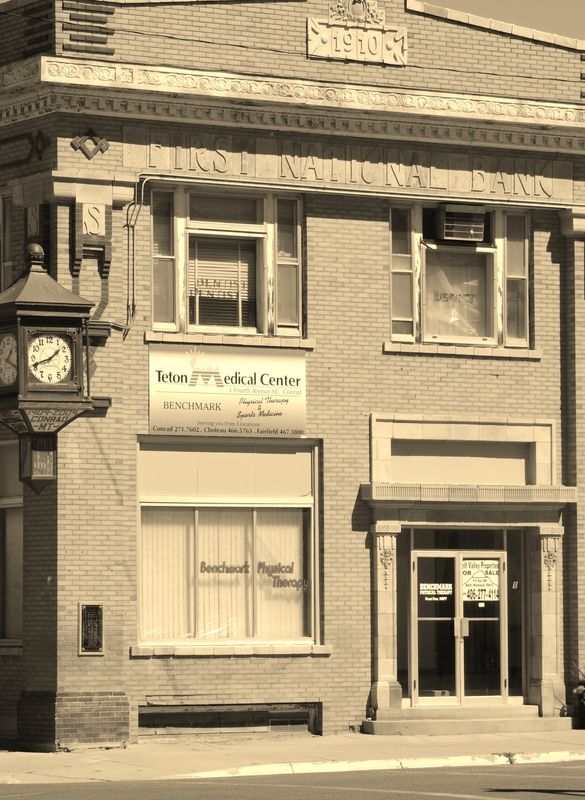 One of the main reasons I photograph these historic structures (besides that they are cool) is to preserve their history before it is lost. Didn’t quite make it to this one in time.